Assuming traditional IT infrastructures will meet future needs is risky. As the digitization of business operations continues to accelerate, it is IT’s role to introduce new technologies and capabilities that can support this transformation. Today’s organizations need cybersecurity products that can grow with them—ensuring data is secure and compliant now and in the future. The solution? Look to the cloud. Cloud technology offers agility, scalability, and flexibility; fundamental requirements to manage IT demands. Whether building a new environment or migrating an existing one, there are many things to consider: a solid security posture, compliance with regulatory frameworks, and (for established organizations) a substantial investment in legacy operations, among others. These are all valid reasons to think carefully about your cloud journey—what it will be and when. Wherever you are on that path, Armor can meet you there and secure your journey today to ensure that you are ready for tomorrow. From your on-premise environment to public, private, or hybrid clouds—in any combination. Hi. We’re Armor. Welcome to the cloud. Armor Anywhere is a cloud-delivered SECaaS platform. It strengthens and unifies your on-premise, public, private, and hybrid cloud environments in minutes, protecting your cloud workloads wherever they are. Armor Complete, our secure cloud-hosting platform, doesn’t sacrifice agility for security—it delivers both. An infrastructure-as-a-service (IaaS) solution, Armor Complete provides your business with real-time, on-demand cloud services that are secure from day one. Making Cloud Security Simple. Anytime. Anywhere. Armor Anywhere scales security to public, private, and hybrid cloud environments, or you can use it on-premise, deploying it on your own infrastructure in less than 2 minutes. Armor Anywhere makes security simple for our clients by handling the day-to-day issues of managing a cybersecurity team and all the technology and tools they need to be effective. The Armor Anywhere agent will prepare your IT infrastructure for any attacks through security defenses that enable you to prevent, detect, and respond to cyberthreats in real time—at a fraction of the cost of traditional solutions. Secure Cloud Hosting. Managed Security. 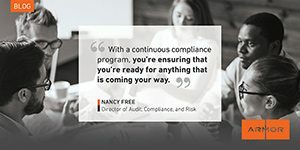 Audit-Ready Compliance. Armor Complete is our secure hosting solution. It is a virtual private cloud (VPC) with built-in security controls that provides the industry’s leading prevention, detection, and response services—keeping your sensitive, regulated data safe and secure. Armor Complete is cybersecurity that goes beyond alerting—beyond compliance—providing 24/7/365 security and support. To keep up with industry demand, businesses are innovating rapidly while reaping the benefits of virtualization in the digital economy. With this growth, threat actors are getting smarter—making it imperative to secure your on-premise, hybrid, hosted, and container environments effectively. Learn more by reading our Malware Protection datasheet. Armor’s Denial of Service (DoS) solution integrates network-wide intelligence and anomaly detection with carrier-class threat management to help identify and stop volumetric, TCP state exhaustion, and application-layer DoS attacks. Learn more.